​ ​Welcome and thanks for visiting. I am Dr. Bruce Weary and I have been a practicing Chiropractor for 31 years. Of those years 29 have been right here in Prescott, AZ. My staff and I continue to enjoy a fantastic relationship with our patients and health professionals of this community. I hope you find this website informative and useful. We know you have many options when selecting a Chiropractor and we work very hard to make our patients experience in our clinic painless, positive, and pampered. We always welcome new patients to our office. We look forward to meeting you! Good day and good health! Professionally, Dr. Weary has had a multi-faceted career that has included traveling across the United States teaching at the post-graduate level for three Chiropractic colleges, as well as the Motion Palpation Institute. Though devoted to full-time practice, he still assists in teaching Doctors of Chiropractic how to improve their diagnosis and manipulation skills through professional seminars. In addition, Dr. Weary has made dozens of television appearances as an authority on various health issues, and had his own radio show, "Health Talk" here in Prescott on KNOT for 16 years, where he interviewed dignitaries such as Senators John McCain and Jon Kyl, as well as celebrities including Shelley Fabares, Glen Campbell, Pat Boone and others on various health topics. Dr. Weary is known for his gentle treatment techniques, as well as his collaboration with the medical community in Prescott, both of which are assets in delivering high quality Chiropractic care. Dr. Weary is originally from the Midwest where he spent much time on his grandfather's farm, where he developed a great love for horses. 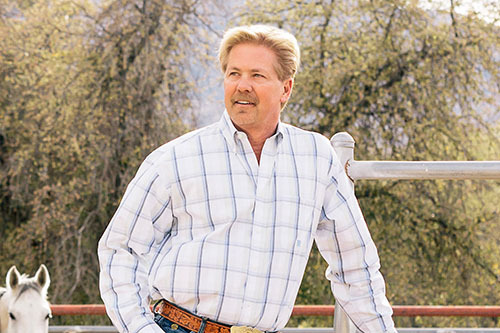 Dr. Weary's passionate hobby is endurance riding, which involves racing horses for 50 and even 100 miles in a day. Dr. Weary's wife Dayna, participates in this sport with him and they travel throughout the Southwest in pursuit of new trails.